Google has officially launched its Android Wear 2.0 upgrade today. There have been small incremental updates to the first generation OS along the way, but this is by far the largest upgrade since the operating system's launch in 2014. Wear 2.0 was announced last year at Google I/O in May, but after a few developer previews the release has been delayed for months. Today's launch also comes with two new flagship devices from LG. The new LG Watch Style ($249) and LG Watch Sport ($349) use rounded P-OLED displays powered by the Snapdragon Wear 2100 SoC, 4GB of internal storage, Wi-Fi and Bluetooth connectivity, wireless charging along with dust and water resistance. 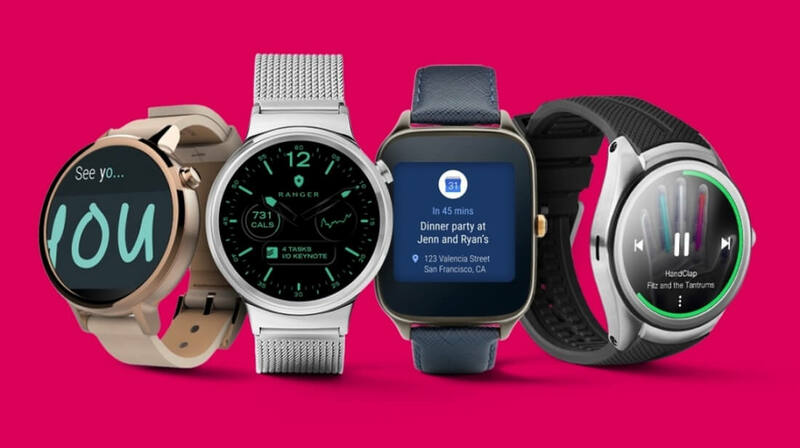 Android Wear 2.0 brings improvements to material design, Android Pay support, fitness tracking, notification updates, new watch faces, and brand new standalone apps. Overall, the new user interface replaces complex gestures with more intuitive swipes and presses. Google Now can be launched right from the watch with the push of a button. Other new home screen features include support for 3rd party elements like stock tracking, weather, and favorite contacts. Google has had to face some fierce competition in the fitness tracking market, so this was another key addition for the upgrade. GPS enabled watches no longer require a phone for location tracking, and Google Fit can automatically detect your workout and give you tips along the way. Smartwatches have historically been good for viewing notifications, but not exactly the most practical for actually replying to them. Wear 2.0 introduces new response features to hopefully change that. The new Smart Reply feature generates generic responses based on the app you're using. This means replies to a business email will be different from a text to your buddy. If the canned replies don't fit what you're trying to say, you can always dictate your response or try the new swiping keyboard and handwriting recognition system. Android Pay has received new integrations to compete with Apple Pay. NFC-enabled watches, of which only one available model exists, can now be used at smart point-of-sales stations. It still takes time to load the app and confirm the payment, but if can save you if you're caught without a wallet, so look for better adoption of this feature in the near future. The final key improvement, and possibly the biggest from a technical perspective, is the addition of standalone apps. With Wear 2.0 you can install apps directly onto the watch itself without the need for a phone. The update to Android Wear 2.0 is a big one, improving on just about every feature previously available. Noted, there are a few bugs at launch of course, but once time settles on the new software and newer hardware is released, we'll be able to see how the new breed of smartwatches fare on the market.